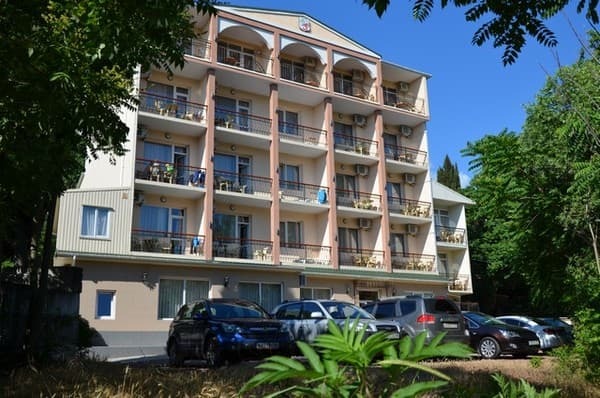 The "Domashniy Uyut" hotel is located on the territory of the park through which the "Ulu-Uzen" river flows in an amazingly quiet and peaceful place, 150 meters from the sea. A private hotel is open all year round, all rooms are heated. Hot water is supplied around the clock at any time of the year. The hotel offers cozy, comfortable, spacious - one, two and three-room rooms with all amenities. 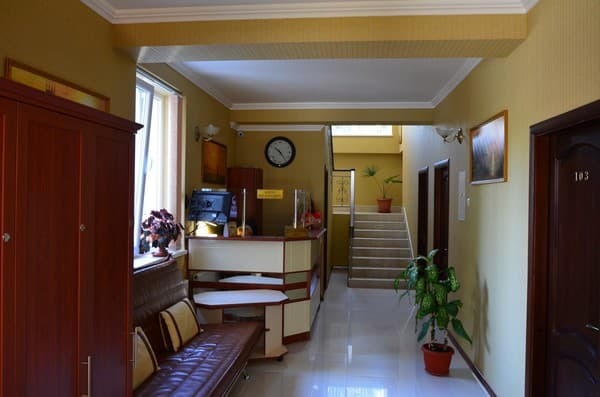 Rooms with balconies, bathrooms, air conditioning, satellite TV, safes with coded lock, refrigerators, tableware, comfortable furniture and modern interior. 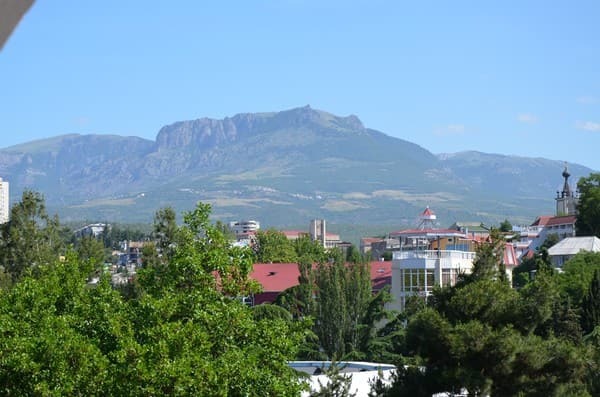 From the balconies you can see a magnificent landscape on the Crimean mountains: Chatyrdag and Demerdzhi, Alushta, the park area, the Black Sea. 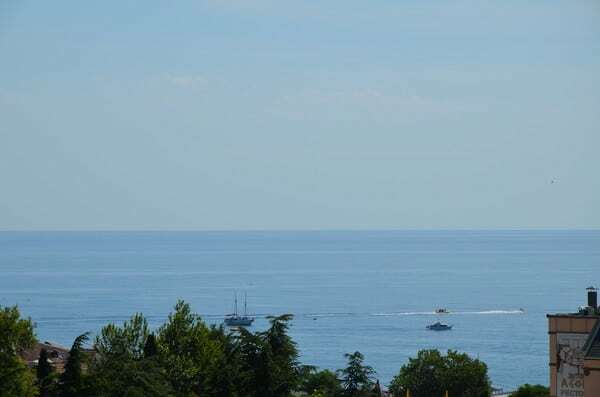 For guests there is free Wi - Fi, transfer, taxi order, car rental, excursions around the Crimea. At the request of the guests, the hotel organizes excursions to the picturesque places and historical monuments. PRICES MAY CHANGE, YOU NEED TO RECEIVE INFORMATION FROM THE OPERATOR! 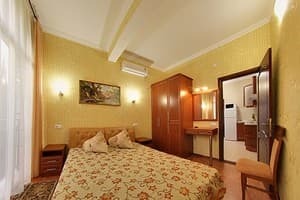 Description of the room: Spacious, bright one-room is great for a comfortable stay. It is designed for 2-4 people. One extra seat can be provided. In the room there is a double bed + armchair-bed. View from the window to the mountains and park. Description of the room: Spacious, bright one-room is great for a comfortable stay. It is designed for two people. Two additional places can be provided. The room has a double bed + sofa bed. Description of the room: Spacious, bright two-room suite with a view of the mountains and the park. Great for a comfortable stay. It is designed to accommodate four people. The room has a double bed, sofa. Description of the room: Great for a comfortable stay. It is designed to accommodate four people. One extra seat can be provided. In the room there is a double bed + 2 single beds + armchair-bed. Description of the room: Spacious, bright two-room suite is great for a comfortable stay. It is designed to accommodate five people. One extra seat can be provided. In the room there is a double bed + armchair-bed + in the second room or a double bed or 2 single beds. Children under 7 years stay free of charge without extra beds. The cost of additional space is 100 UAH. 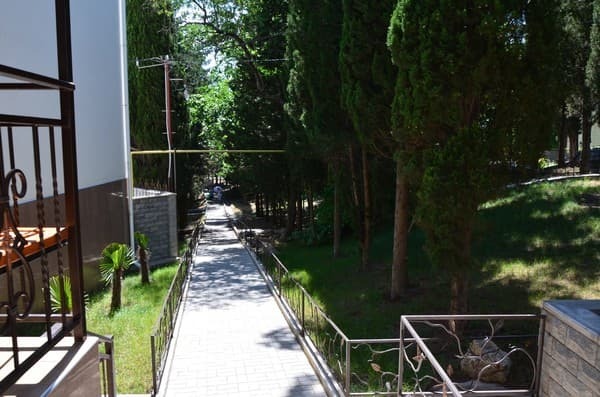 The hotel is located 100 meters from the Central Alushta Embankment and 150 meters from the sea. GPS: 44.669694,34.40911.